Owning your own business is the heart and soul of the American Dream. Once upon a time, it was a complex process, very expensive, and full of challenges to avoid. Since the advent of Limited Liability Companies, or LLCs, this has all changed. Filing an LLC is very easy and inexpensive. It also provides important tax protections and shelters that will keep your personal assets secure. While a DBA (“doing business as”) is still a valid business model, every business in this day and age should consider the option of an LLC. Learn when, why and how to form an LLC for your small business, to protect your operations and interests, and the resources you have available. 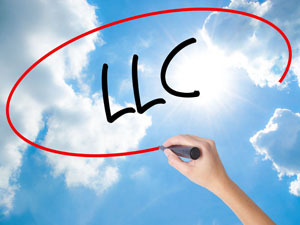 As stated above, LLC stands for “limited liability company.” It allows small business owners to set up a formal business structure, limiting their own personal liability while protecting their assets at the same time. It also allows for pass-through taxation, making it much easier for the owners to pay taxes. What this means is that you pay taxes on your business income through your own income tax statement rather than having to file a separate business tax return. Having only one tax return to file is a welcome reprieve for a swamped business owner! Should something go wrong with the business, only the business assets can be targeted and seized. Your house, your personal possessions, your personal investments and the like are all off limits. Is there Anything an LLC Doesn’t Protect? While the LLC is considered an entity separate from its’ owners, it can’t guard you in every instance. If you engage in illegal acts such as fraud or malicious or negligent activities the LLC will not protect your personal assets. Forming an LLC is a relatively easy and inexpensive process. The first step is to pick a name for your business. You’ll need to research to be sure nobody else is using your chosen name, and that it complies with state regulations—in general, this means you must include either “LLC” or “Limited Liability Company” as part of the name. Second, you’ll have to create articles of organization and file them. This is the basic document that lays out your company. You can download forms from the state that will allow you to simply fill out basic articles, which must be signed and filed. You’ll have to appoint a registered agent which is a person or business to represent the LLC and receive legal documents. Then, you’ll need to pay required fees, which vary from state to state but can be as low as $100. Finally, some states require you to publish a notice of intent. If you have questions about the process of creating an LLC in your state, turning to a professional company that specializes in setting up these businesses can be a big help. MyLLC is experienced in establishing limited liability companies in all 50 states. We have the resources, tools and knowledge to get you up and running fast. Read for more information about how to form an LLC, and get in touch with us to get started today!